When an image is introduced to the system in verification mode, an individual enrolled in the organization’s database may ask the system to confirm whether or not he or she is in fact that particular individual in order to, for instance, gain access to an entrance, a post office or bank safe deposit box, a secure area, an online exam website, or any number of other permissions. Very often verification is used as a secondary security feature in tandem with some other access mechanism such as a keycard, a fingerprint, a biometric scan, or any number of other access devices or mechanisms. Say an employee wants access to a facility or a gym member wants to enter a fitness center. That individual may swipe their card and as an authenticity safeguard will be asked to look into a camera. The swipe of the card notifies the system that person X wants access. The system than searches through its database for person X’s preexisting faceprint and matches it to the fresh image. If they match then access is granted, if not, it is denied. Besides office buildings and other facilities that require basic security, verification is particularly valuable to organizations with high employee turnover rates, sensitive security issues, and those that incur losses from lost or stolen access items such as keycards, or from forbidden manipulation of those same types of access mechanisms. When the wrong person is in possession of an access device or has found a way to trick an outdated access system, it can at best become a costly situation and at worst, a serious threat. In scenarios where security is of major importance such as in a correctional facility, verification is a surefire way to permanently close the breach. Research has proven that even fingerprints are not 100% distinctive as previously thought. Smilart FRT verification can be used in a number of different ways depending on each customer’s unique demands. The applications are limitless! There are so many possible uses for verification that it is impossible to list them all. Below you can slide your cursor over a few examples we provided that offer some great ideas of applications that Smilart verification can be used for. Accept/deny online applications or visa applications, stop credit card fraud, verify age, renew IDs or credit cards or subscriptions, monitor online gaming, etc. Whether a tool for private investigators or as a measure for child safety in schools and amusement parks, from accessing restricted by-clearance areas or confirming membership, Smilart verification solutions are your go-to source for high-tech, high value, low cost solutions. Our platform is adaptable to almost any convenience or task. 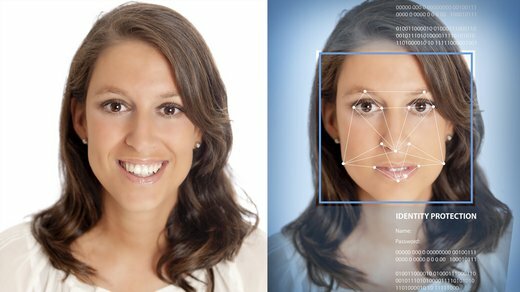 If you think that biometric verification may help you but have some questions, contact us now to learn how you can benefit.